If you live in an area with hard water, you may know the problem with clogged filters in your faucets due to calcium carbonate (limescale) deposits. 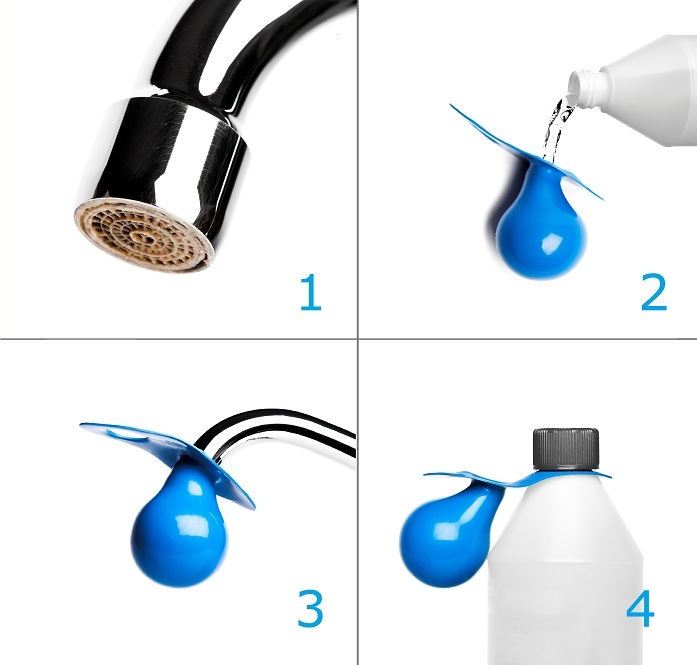 Limescale deposits can easily be dissolved in vinegar or by using a cleaning product specifically designed for that purpose. The problem is that you have to unscrew the filter and let is soak in a cup or come up with up other MacGyver’ish methods. Therefore we invented Limey: Your faucet’s best friend! A clogged tap/faucet? 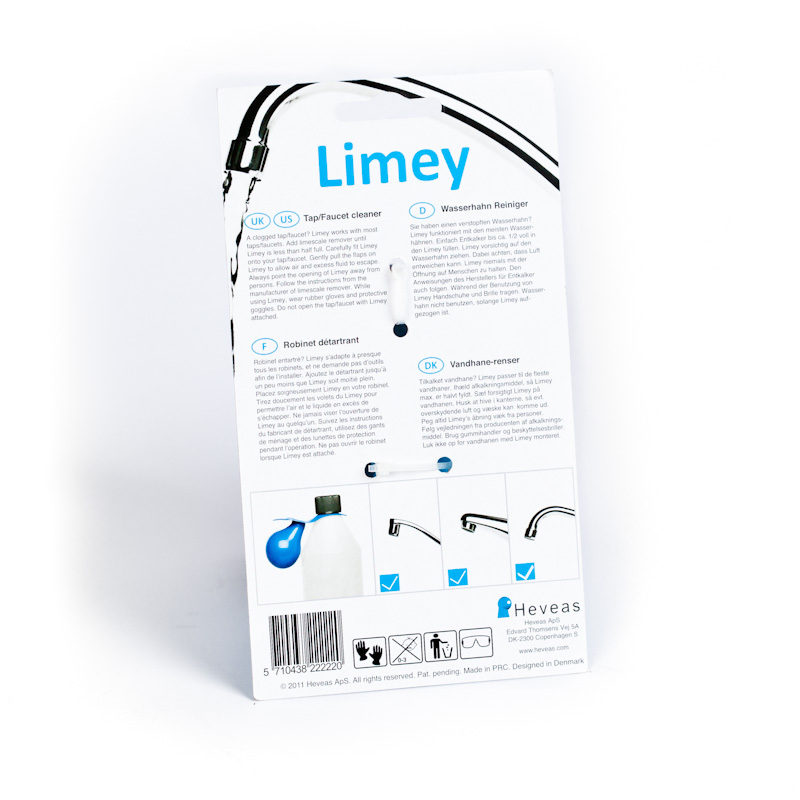 Limey works with most taps/faucets. Add limescale remover until Limey is less than half full. 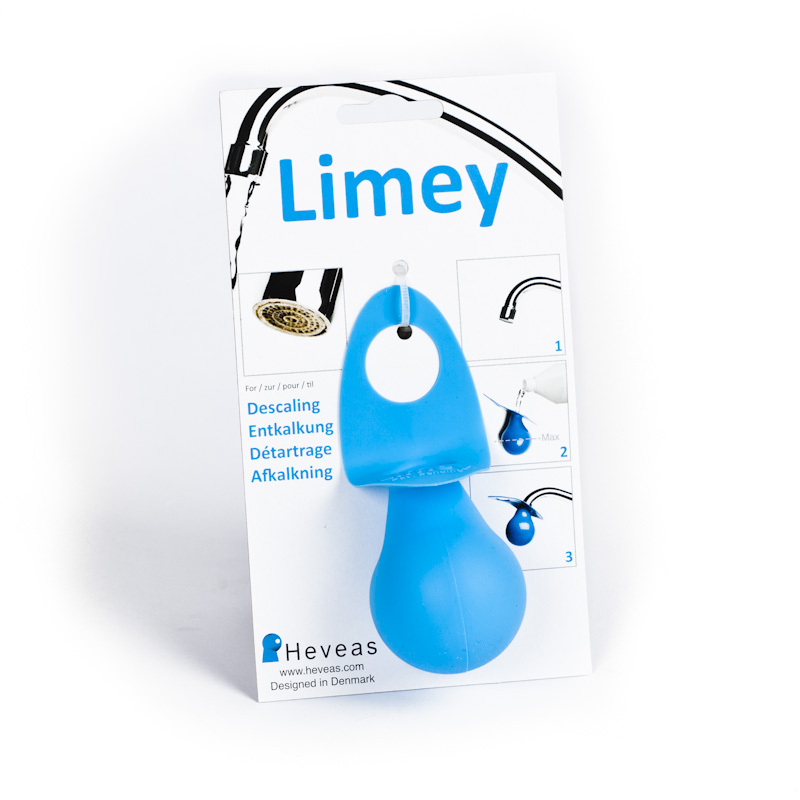 Carefully fit Limey onto your tap/faucet. Gently pull the flaps on Limey to allow air and excess fluid to escape. Always point the opening of Limey away from persons. Follow the instructions from the manufacturer of limescale remover. While using Limey, wear rubber gloves and protective goggles. Do not open the tap/faucet with Limey attached.